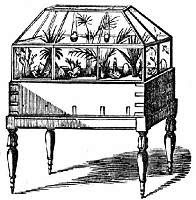 If you are looking for a forum-type experience centered on the craft and care of terrariums- check out iVillage Garden Web's Terrarium Forum. The posts are lively, the posters are informative and people occasionally advertise the availability of plants/seeds suited for terrarium-life. I know some of us struggle with locating the best plants for terrariums - so if you are ready to try a new or unusual plant this may be the place to find it!